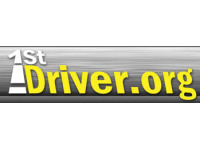 Welcome to 1stdriver.org your 1st choice for driver training and development. At 1stdriver.org we offer many years of experience in the driver training industry. We offer you over 25 years of driving experience to make sure you get the best possible help with learning to drive. 1st Driver Driving School is a young, dynamic Driving School managed by an experienced Approved Driving Instructor. All our Approved Driving Instructors offer the best quality driving lessons available. *Help and advice on all matters of driving and learning to drive. *Lessons at times that suit you. *Practical Driving Test tuition and guidance. *Lessons tailored to suit your needs. *Instructors who care and understand, that there is more to learning to drive, than just learning to drive. When you make 1st Driver your 1st choice for driver training and development we put you 1st.